The privilege of using a seal and a coat of arms was granted to the town on 26 May 1612. 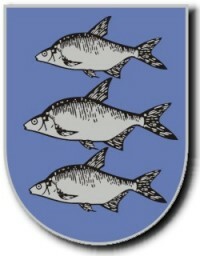 Lec’s coat of arms features three bream fish placed one above the other, with the one in the middle being somewhat larger. Legend has it that the Grand Elector on his visit to Lec was treated to a dinner of bream fish caught by local fishermen in lake Niegocin. 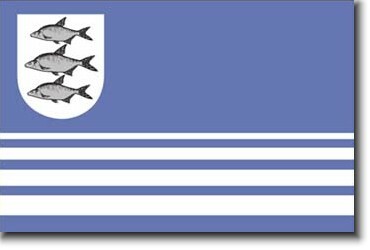 He was so grateful that he decided to grant the town a coat of arms with three bream fish in it, and its inhabitants received the right to fish in Niegocin.